If you are a business owner or property manager that owns a commercial building, then this page is for you. Commercial roofing can be a pain to maintain and costly to upgrade. Since so many commercial buildings have flat roofs this can cause drainage problems if not properly maintained. We understand this problem and have solutions to help you resolve many of these issues. Roofers Richmond Hill is a licensed roofing contractor with years of experience. Our motto is, "We got you covered." This may sound like a cheap slogan, but that is the mantra we live by and stand by. We stand by our work and we have some of the best roofing product warranties in the business. There is not a type of roof we have not seen that we cannot fix, install, repair, or replace. We have seen it all which gives us the unique ability to analyze a roofing problem and devise unique and cost effective solutions. We don't use a cookie-cutter approach and rely on the typical norms. With our experience comes the knowledge to offer solutions that can save money in the long run and give you a quality product you can rely on for decades to come. When others look at a roof, most people only see materials on top of a building situated in a way to protect the people within and shield them from the outside forces. We see an opportunity to enhance a structure that provides protection to the inhabitants within. We pride ourselves on the work that we do and we always go above and beyond for our customers. When you hire Roofers Richmond Hill, you are getting the best-trained roofing professionals in the area. Not only are you getting our experience but also our exceptional customer service. We have been widely regarded as one of the top customer service companies in the Richmond Hill community. 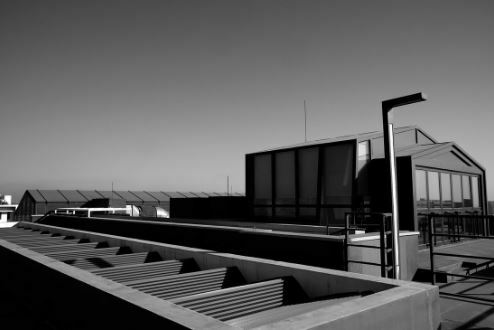 We understand that commercial roofs need to last, so we focus on devising solutions that will be both costs effective and require minimal maintenance on your part. Our roofing contractors will meet with you once the job is complete to go over the services that have just been rendered and stay until all your questions are answered. They will also review maintenance procedures with you to ensure that you understand the best ways to keep your roof lasting a very long time. Our roofing contractors will not leave until you are completely satisfied with the work we have done and answered all the questions you may have. So, if you have a question about your commercial roof, don't hesitate to give us a call and let one of our customer service representatives help you in any way we can. We are available to help you get one of our biggest investments working at its optimal condition. Feel free to fill out the form on this page and one of our representatives will get back to you as soon as possible. We look forward to making your roof an asset in your business.